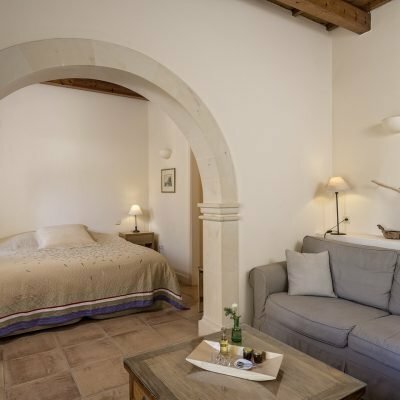  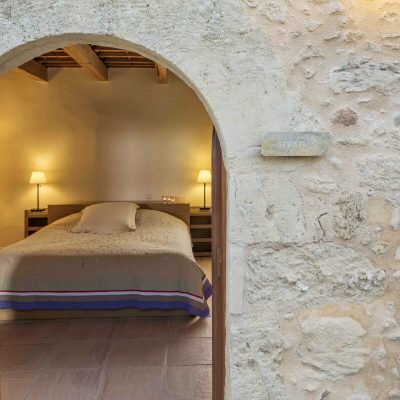 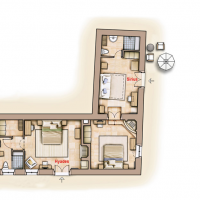 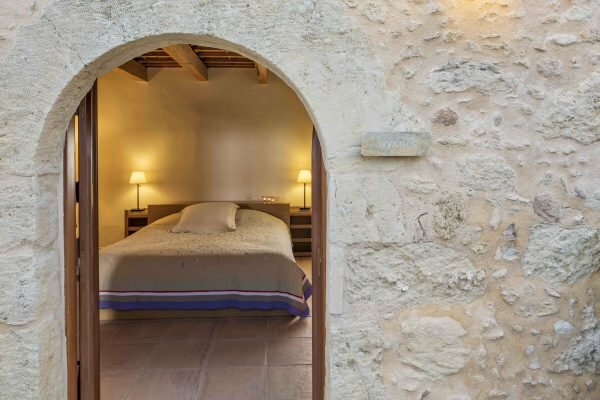  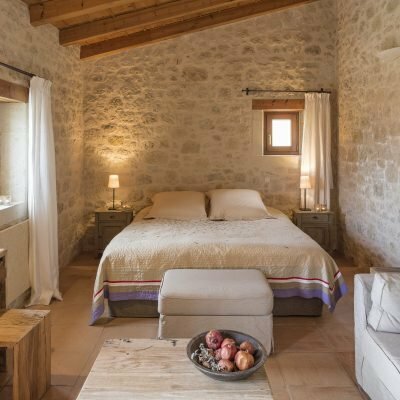 The “Hyades” have given their name to a comfortable double room in the main building complex of the old village. 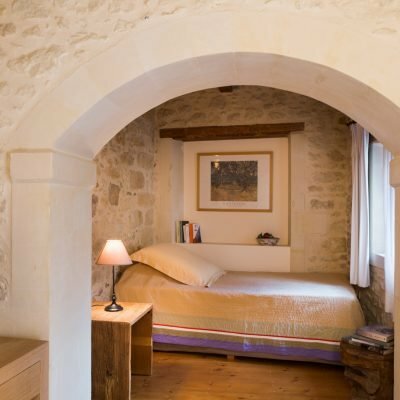 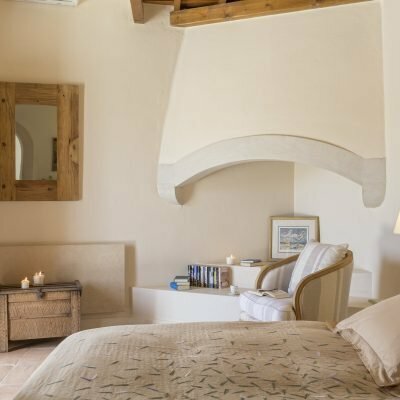 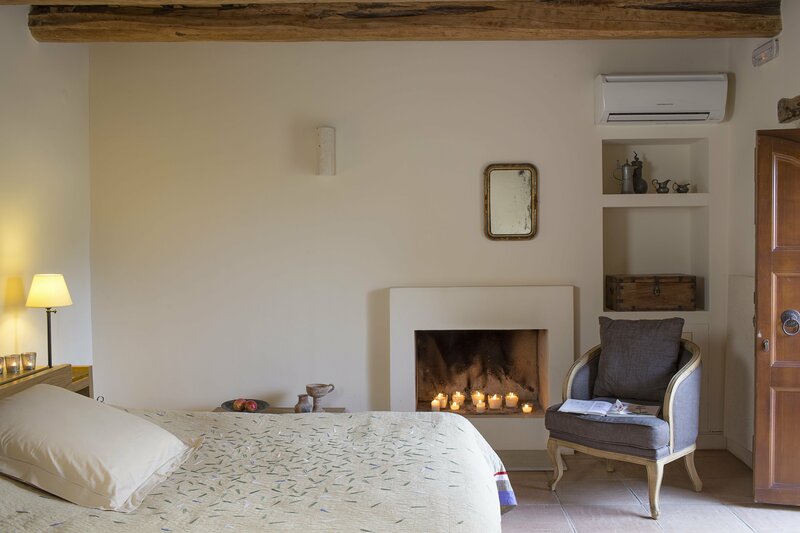 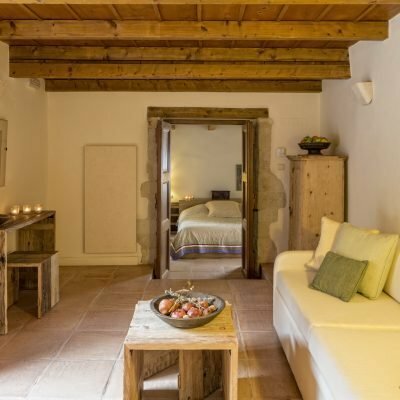 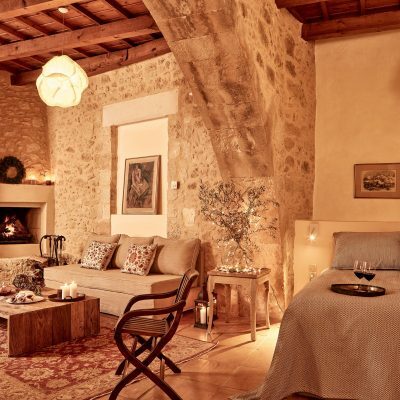 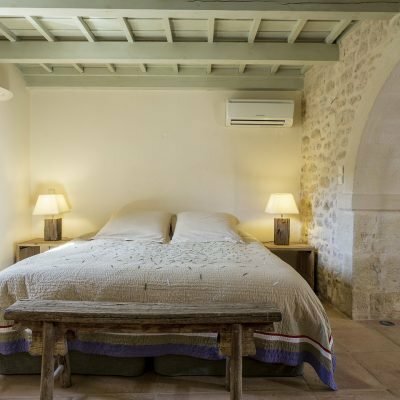 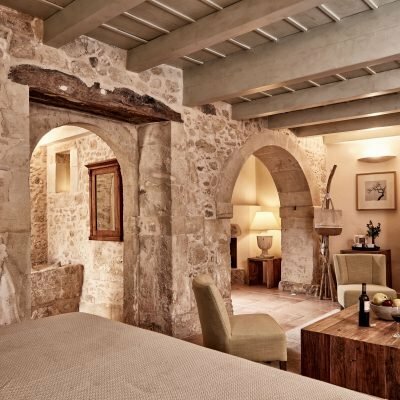 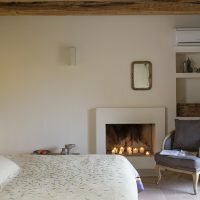 The room has a double bed or twin beds and fireplace with original wooden beams. 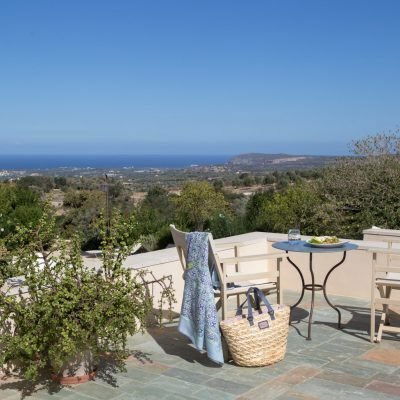 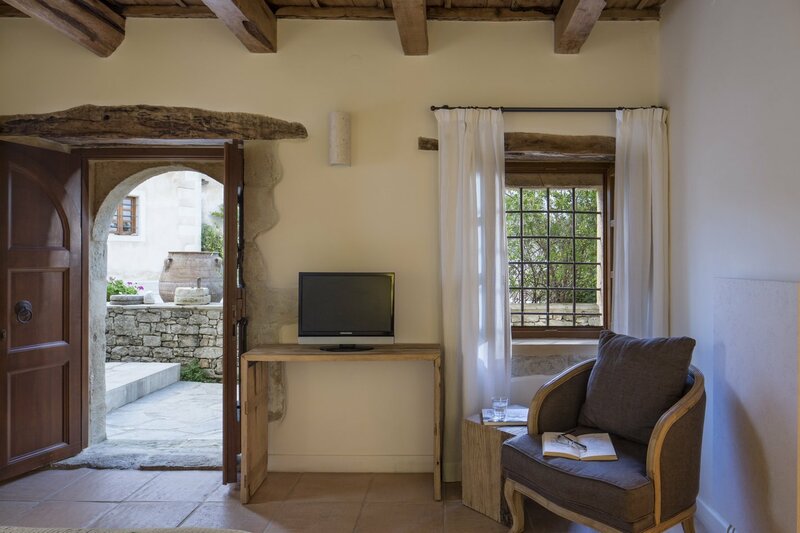 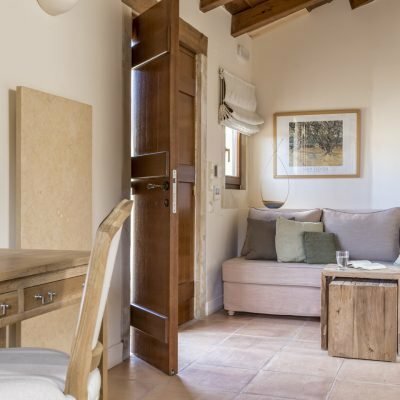 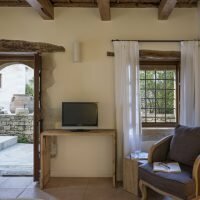 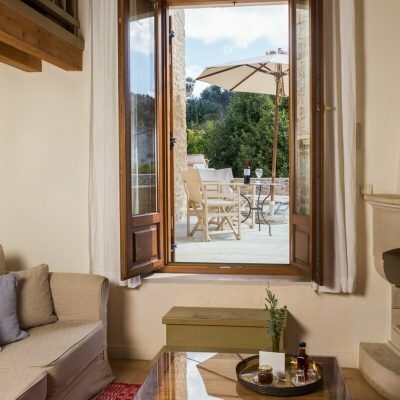 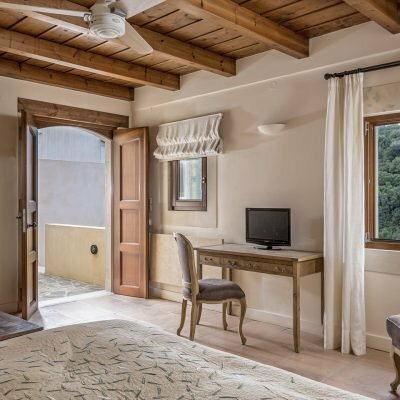 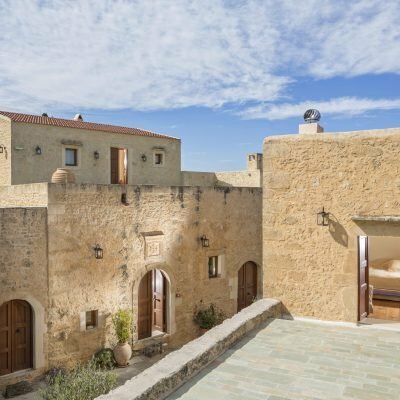 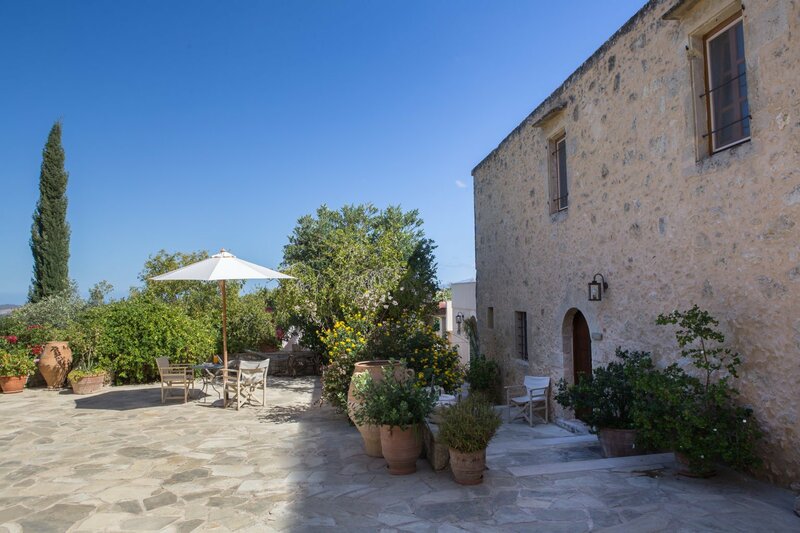 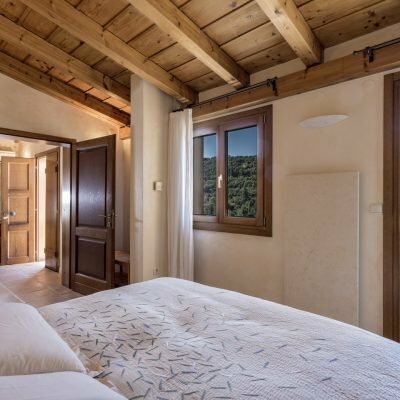 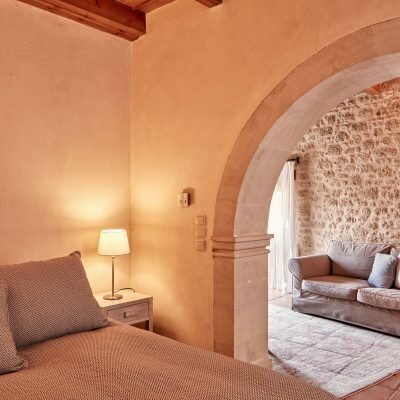 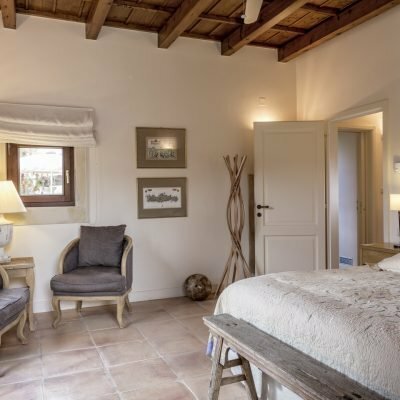 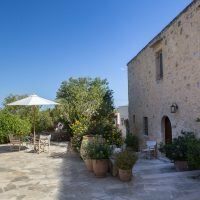 The room is centrally located in front of the spacious paved square, which is a continuation of the courtyard of the old olive mill. 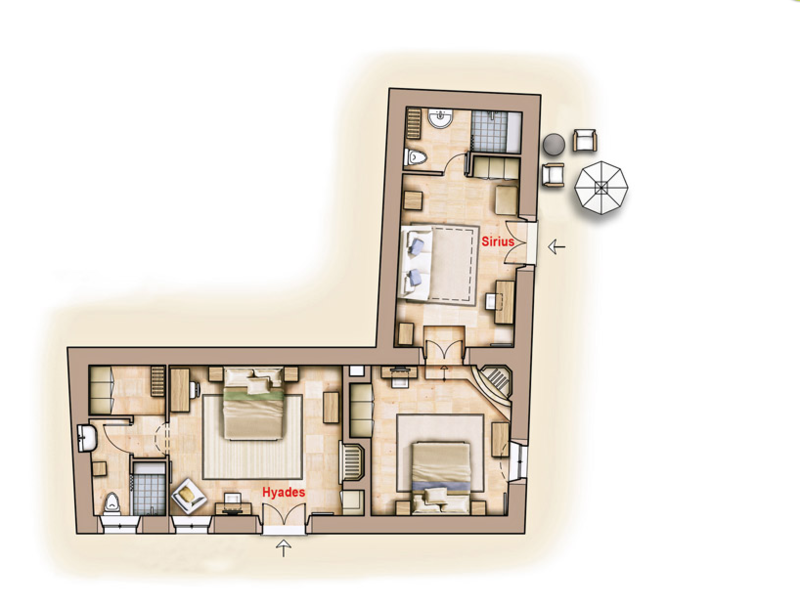 Capacity: The Double Room “Hyades” can host 2 adults.